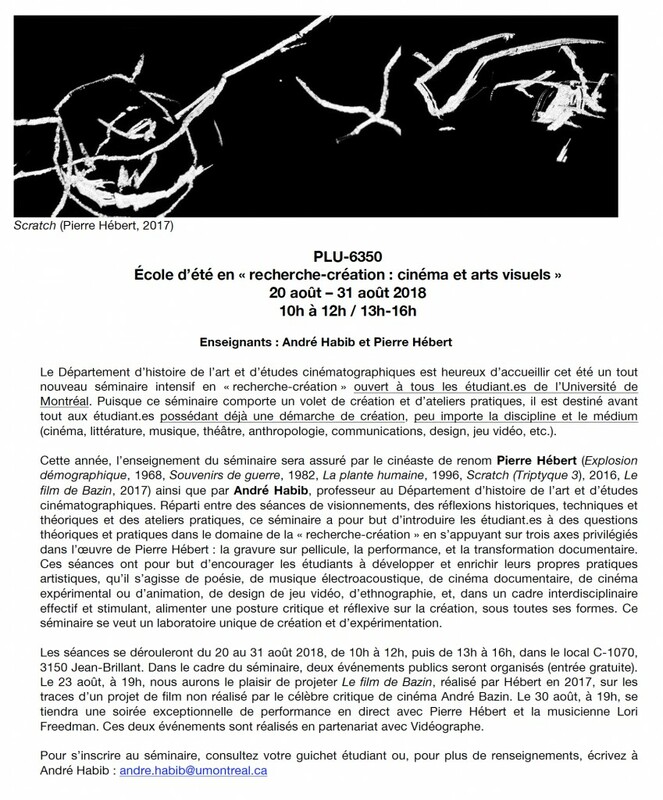 From August 20 to 31 2018, I will be giving a research/creation seminar at the University of Montreal along with André Habib. The seminar qill consist of morning sessions devoted to theory and screenings and afternoon sessions decotes to practical work. It will also include two public events : on August 23, 19:00, sceening of Bazin’s Film, and on August 30, 19:00, a live scartched on film performance with clarinet player Lori Freedman.